With so many models in the market, how do you choose which bidet would be best for you? If you are going for a toilet seat bidet at a more affordable price, you might want to look into the Luxe Bidet attachments. These are simple units containing a bidet attached to a side arm panel. The attachment is attached underneath the toilet seat and works exactly like the toilet seat models. Luxe is a renowned brand that deals with bidets. It was actually launched by 2Go Products, LLC in 2008. What’s great about the company is that founder has structured the design of the bidets to improve flaws he found in his own bidets. His personal experience with bidets is what makes this brand so cohesive and perfect. The Luxe offers premium as well as many affordable bidet options to ensure the best toilet experience. They manufacture electronic bidets, handheld bidets, toilet seat bidets as well as many accessories to elevate your experience. The brand has evolved into one that cares about the environment by conserving paper and thus saving millions of trees. Their brand is consistent with making bidets that are easier on the skin so even folks with hemorrhoids or other conditions can use it with ease. What’s more is that the reduction in the use of toilet paper means fewer clogging issues. Cold Water Connection: Present in all of the bidet. Connects the cold water from the house’s supply to the bidet spray. Hot Water Connection: Only available in fewer high-end models. Connects the house’s hot water supply to the bidet spray. Allows adjusting the temperature of the spray to something much warmer. Nozzle Guard Gate: Available in all models. Protects the nozzle and allows it to retract back when the water is turned off. Self-Cleaning Nozzle(s): Present in most bidets. Allows the nozzle to cleanse itself. Makes it easier to maintain and clean the unit. Dual Nozzles: Present in a select few. Allows for a gentler anterior or feminine wash as well as high pressured backwash. Value Construction: Almost all of the bidet attachments are constructed to be durable. Cold Water Hose: Metallic leak-proof hose to ensure proper supply of cold water. Side Arm Panel: In the form of a knob or a lever. Allows you to adjust the temperature or the pressure settings of the jet stream. When it comes to saving up, you won’t find anything more affordable than the Luxe Bidet Toilet Attachment. However, affordability certainly doesn’t mean that the company compromises on the look. The Sleek yet modern look fits beautifully with any bathroom. The chrome plated control knobs that are used to control water pressure grant attachment an elegant look. The Neo 120 is constructed out of high-quality parts which impart durability and longevity to the unit. The metal and ceramic construction, as well as the steel hoses, ensure sturdiness. What’s the best about this unit is that it comes with all the tools you might need to install this. No more dialing up the plumber! You can simply install it yourself and then even detach it for cleaning purposes. The wand or the nozzle features a self-cleaning function and includes a movable nozzle guard to ensure easier cleaning and maintenance. The single nozzle design ensures a hygienic and comfortable experience. What’s more is that it has a side panel with knobs that allow you to control the water pressure. The second knob present allows you to clean the wand itself. The attachment is a mechanical one so it uses water pressure to spray the water. This means that it requires no electricity and is hence eco-friendly. The Luxe Bidet attachment Neo 120 is the best luxe bidet in terms of durability and affordability! High quality and durable parts. Easy to install without a plumber. Water pressure can be easily adjusted. Easy to maintain and clean due to the nozzle guard. It can cause the toilet seat to break from the middle due to no support. The spray is too harsh even at the lowest setting. Like its brother, the Neo 320 ensures a modern and comfortable experience everytime you visit the toilet. However, the 320 features a wider variety of functions such as hot and cold water. The Luxe bidet attachment draws hot water supply from your main water line and then allows you to mix it with cold water to adjust the temperature to a mild warm one that is comfortable for you. The bidet attachment does not look out of place with any toilet and features a beautiful control lever. Also included are high quality manufactured parts that ensure the long life of the unit. The hot water hose is made from a durable polythene to ensure it does not corrode away. An upgrade from the Neo 120, the 320 features dual nozzles that are used for both feminine and posterior wash. The front wash is much gentler than the rear one for a more gentle cleansing experience. You never have to worry about cleaning these nozzles as they retract back after each use. Moreover, it includes a self-cleaning function that ensures maximum hygiene. Furthermore, the guard gate provides the wand with extra protection. This makes it the best Luxe bidet in terms of easy maintenance. The bidet attachment can easily attach itself and detach itself for easier cleaning. You can even install it yourself since all tools are included with the package. You might need some help connecting the hose to the hot water supply. Allows you to adjust temperature and water pressure. Feature feminine as well as rear wash. Uses cold and hot water. Easy maintenance and easy installation. Connection hoses are visible and cannot be hidden out of sight. 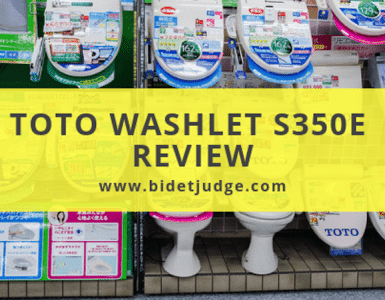 Click to read our in-depth review of Luxe Neo 320 Bidet. The Luxe Bidet MB110 is perhaps the most affordable bidet you will find in the market. It is perfect for those who refuse to compromise on quality, yet still, want something affordable. The bidet is the epitome of luxury and affordability combined. Unlike other bidets that come with electrical attachments and various plumbing attachments, the MB110 comes with only one plumbing hose. This makes it easier to install. In fact, you can set it up yourself without any help within minutes. That’s not all, you can easily detach and re-attach it. So, you can easily clean it and put it back in place in no time. What makes installation even easier is that it comes with all the accessories required to operate it. So, you won’t have to order anything else. The bidet nozzle extends out from the middle of the bowl. However, ti only extends when the water is turned on so you can safely get on with your business without worrying about sanitation. The Clean and refreshing experience is amplified due to the side arm control panel that controls the water panel. However, this Luxe Bidet attachment offers no hot or cold water adjustments. Instead, you can connect it to your hot water supply if you wish for warmer water. The attachment is also backed by a 12 months manufacturer’s warranty whereby you can have the unit replaced in case of a workmanship defect. Comes with all the accessories. Easy to clean, maintain and quick installation. Retractable nozzle for a more sanitary experience. Another one from the Neo series, the 110 is a mechanical bidet attachment that ensures proper hygiene and sanitation. The unit taps into your home’s supply of fresh water to help you cleanse yourself. However, the unit only uses cold water, which is not a huge problem for most folks living in warmer areas. It is also equipped with a chrome plated water pressure control knob that allows you to carefully control the pressure of the water according to your preferences. The knob is very user-friendly and can be sued by children and elderly. Unlike other hi-fi remote control toilets, these tend to be less confusing and easier to use. What’s unique is the guard gate which stores the nozzle inside to ensure hygienic conditions. Moreover, the nozzle only extends out when the water knob is turned on. Furthermore, to promote easier maintenance, the bidet attachment is quite easy to attach and detach. This feature also makes it quite easy to install. Since it only uses cold water, you can simply connect the hose and that’s it! You’re done! It even comes with all the tools you would need to install the unit. This ensures you don’t have to make additional expenditures. The design is quite sleek and the attachment fits snugly under the toilet seat to ensure it doesn’t shift a lot. Overall, the design is quite durable and sturdy with metallic pipes and hoses. To seal the deal, the Luxe Bidet attachment comes with 18 months of warranty! User-friendly due to lesser complex functions. Cleaning and maintenance are quite easy. Movable nozzle guard to ensure sanitation. Comes equipped with all the tools for installation. Water pressures are too hard to adjust. 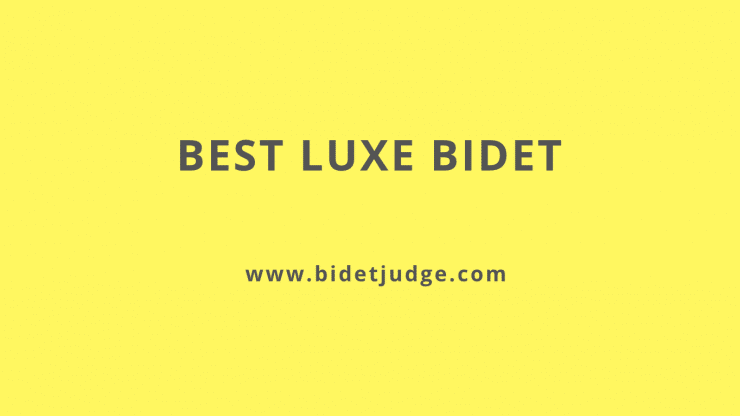 In our list of Luxe Bidet reviews, it would be a crime not to include the 185! The 185 is the perfect medium between the affordable 110 and the highly luxurious 320. Like the 110, it features the same sleek and modern design that ensures that your toilet always looks modern. However, the Neo 185 isn’t just a one trick pony! It is as durable as it is attractive. Equipped with only the highest quality parts to ensure higher functionality for a longer time. The high-pressure faucet and steel hoses impart durability to ensure a longer life of the attachment. The Neo 185 is equipped with dual nozzles. One nozzle is used for the much gentler feminine wash, while the other is suited for a high pressured rear wash. This makes the bidet easier to use for both males and females in all kinds of situations. Also included is a sidearm panel that allows you to adjust the water jet pressure. The other knob allows the wand to be cleansed, making it easier to maintain sanitation. The self-cleaning function as well as the movable nozzle gate guard ensure maximum protection and promote better hygiene. The unit is quite easy to install and you can do it yourself within 10 minutes. The unit can easily attach and detach from the toilet bowl so you can use it another bathroom or clean the toilet. It offers an 18 months warranty to help you ensure your payment. Comes with 18 months of warranty. Dual nozzles for dual washing modes. Nozzle cleaning is quite efficient. Extremely durable unit with a longer life. Water pressure tends to be too high. The Luxe Bidet Neo 250 attachment is on the higher end of the Neo series and features both hot and cold water. It comes with two separate hoses where one connects to your house’s hot water supply while the other connects to your house’s cold water supply. The lever on the side panel allows you to adjust the water temperature to what you feel is more comfortable. The lever mixes the hot water with the supply of cold water to ensure a warm jet stream that delivers a spa-like experience. Furthermore, the Neo 250 comes with 2 different nozzles where one delivers a gentle feminine wash and the other delivers a high pressured rear wash. It does lack the self-cleaning function that is found in other attachments. However, it has the guard gate into which the nozzle can safely retract. Moreover, the Neo 250 is equipped with high-quality durable parts especially the hot water hose. The metal T-adapter and braided steel pipe ensure no leaks occur. Speaking of pipes, the 250 comes with all the required accessories to allow for easier and quicker installation. This allows you to run the bidet within seconds. The attachment can even be easily removed to clean the toilet more easily. The side arm panel not only lets you control the temperature, but it helps you adjust the water temperature. What’s more is that the Bidet attachment comes with 18 months full warranty! Dual nozzles for two different wash modes. The nozzle can safely retract for sanitation purposes. Adjustments for temperature and pressure are allowed. Does not heat the water itself. The shielding tends to get dirty. All in all, if you need a functional yet affordable bidet, you can never go wrong with Luxe Bidet attachments. All 6 of our top picks will serve you well. You can choose any of these according to the features you want. However, what’s common in all of them is that they are affordable and durable. So your investment, no matter how little it is, is bound to last a long time. All of them feature high pressured water to help you cleanse yourself easily. The Luxe Bidet Attachments are bound to leave you with a feeling of comfort and cleanliness! 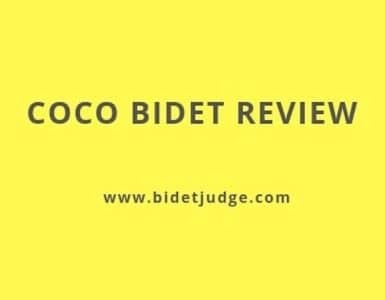 Want to know other types of bidets? 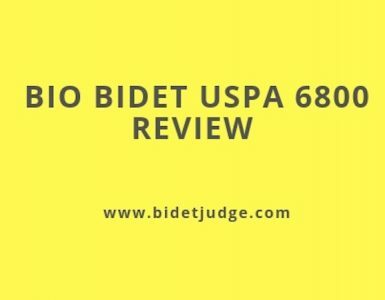 You can click to check our reviews for the bidet toilet seat, travel bidet, and handheld bidet.